“Your winemakers, they are not like ‘rock stars’?”, he asks with a slightly confused smile. Juan Pablo Candisano from Mendoza is clearly not used to the down to earth manners of Kelly Wellington, winemaker at Wirra Wirra. I know it is not just Kelly who is happy to chat about the wine she makes, pretty much every Australian wine producer I have ever encountered will light up as soon as the questions start rolling in. It all fits in with the way we look at our wineries and vineyards, I have heard it many times over the last week: ‘we, Australians, are merely the custodians of this land, these vines and the wines they produce’. 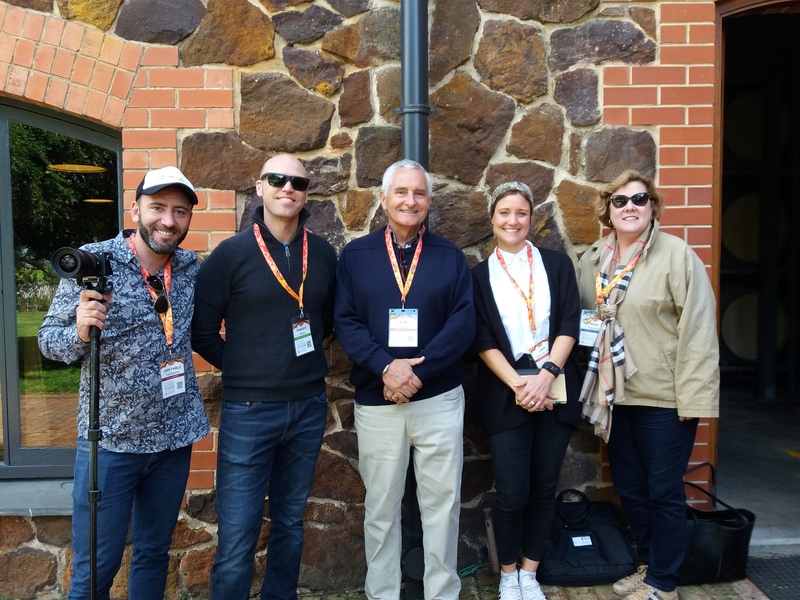 Juan Pablo Candisano, Roberto Meiss and Rose Kapsner are the international visitors that join Adelaide-based professor Kym Anderson and myself on the GWC trip to Wirra Wirra in the morning. Andrew Kay started the day off regaling us with stories of eccentric Robert Strangways Wigley starting Wirra in 1894, and Greg Trott rebuilding the winery in 1969, leading to its current success these days. Andrew also lets us in on the exciting news of the first 5-star hotel to be built in McLaren Vale – right next to the iconic catapult on the Wirra grounds (oooh, watch this space!). 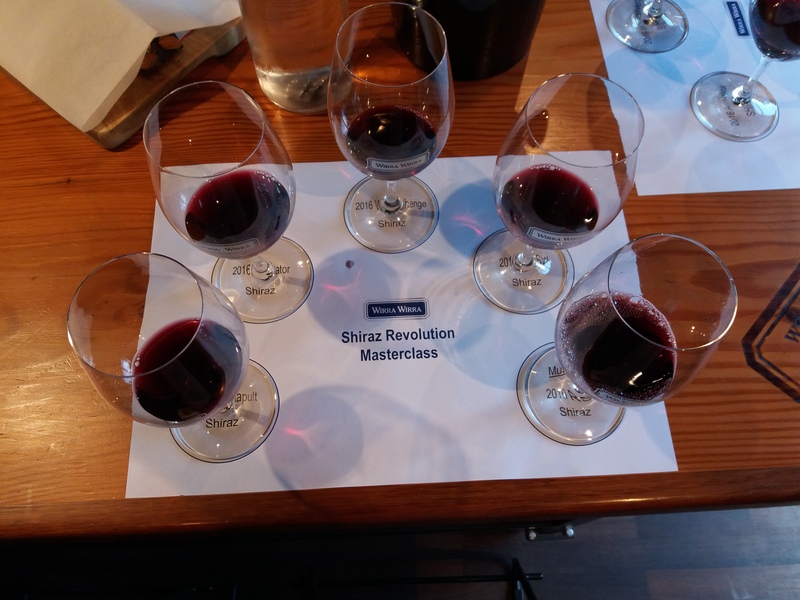 We are here however to taste wine and go through the ‘Shiraz revolution’, one of the experiences Wirra Wirra has been offering since 2015 when they started with their first Shiraz masterclass. 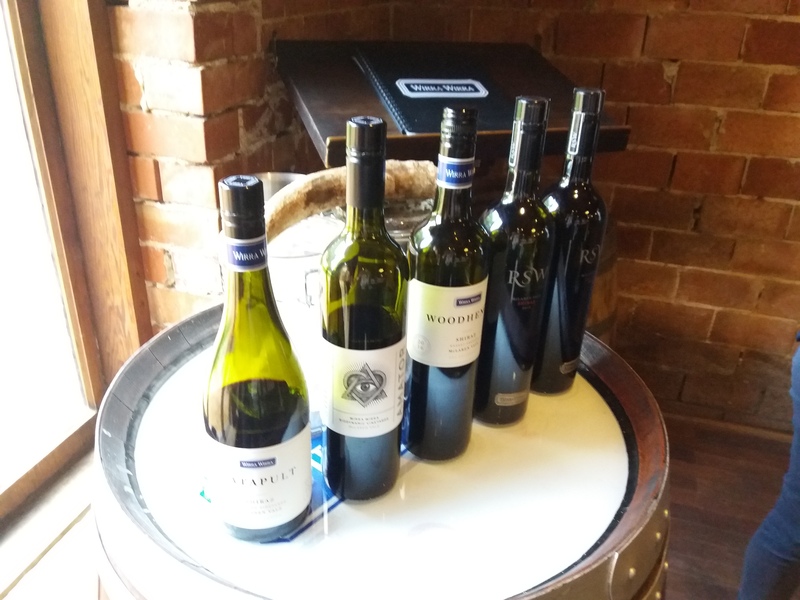 With the 2000 tonne of grapes Wirra crushes each year, they produce a lovely range of whites and reds, both in flavour profiles as well as price class. The Shiraz revolution focusses on the versatility of this little grape, from the Catapult Shiraz (there’s that trebuchet again!) with its lovely floral notes and small price tag of 25 dollars, through to the high-end (and higher priced) smooth and full bodied 2010 museum RSW (Robert Strangways lives on!). As much as I can continue on the spice, minty notes, well integrated oak and dark berry flavours I found in the wine I think the actual experience at Wirra is just as engaging as their wines are. The Shiraz Revolution is not the only masterclass to book, different tours are on offer and their focus can be on the winemaking, the Wirra flagship wines and Trott’s tales – stories that really bring the wine to life! Wirra’s Monica Jansons is a wonderful story teller and impressed the small crowd with her knowledge on not only the wines, but also the geographical background of the area and the experiences Wirra has on offer. Kelly Wellington popped in to chat about the more technical notes of the winemaking, and surprised the two South American gentleman, Juan Pablo from Argentina and Roberto from Chile, with her relaxed demeanour. Turns out, a big difference between us in ‘little old Adelaide’ and our Great Wine Capital colleagues overseas is not the way we talk about our wine legends – but how they talk to us! We love our winemakers and grape growers, and they love the interaction with us wine drinkers – whether you’re a connoisseur or a total newbie. I think this attitude is what makes wine (and the industry around it) so accessible in Australia, and also what pleasantly surprised Juan Pablo and Roberto so much. Maybe the South American winemakers need to relax their machismo a little bit, surely it won’t affect the quality of their wine?